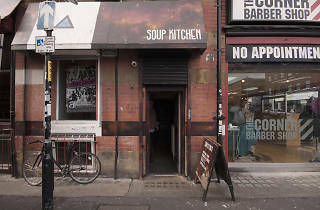 Soup Kitchen strikes a unique balance between enduringly pleasant canteen in the day and anything-goes club by night, not to mention a favourite venue of travelling bands. 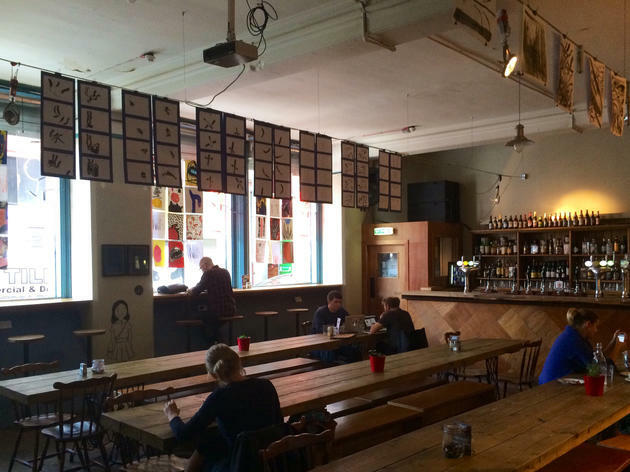 It has one of the most jam-packed schedules of any venue in Manchester, and its passionate management are always making changes to improve the experience. 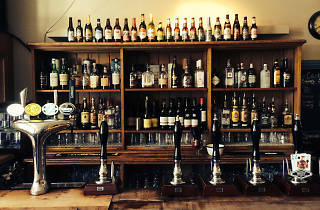 It’s not half as grubby as it used to be, but it still has a raw charm and a dingy atmosphere that lends itself well to nocturnal fun. 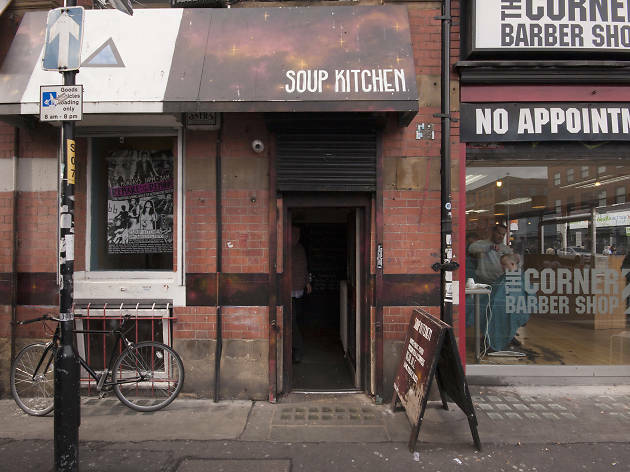 True to its name, Soup Kitchen is pretty charitable price-wise, and the food, which yes, includes a variety of soups and stews, is consistently tasty and generous in portion. The weekly jerk chicken special is well worth a go if you’re able to catch it. 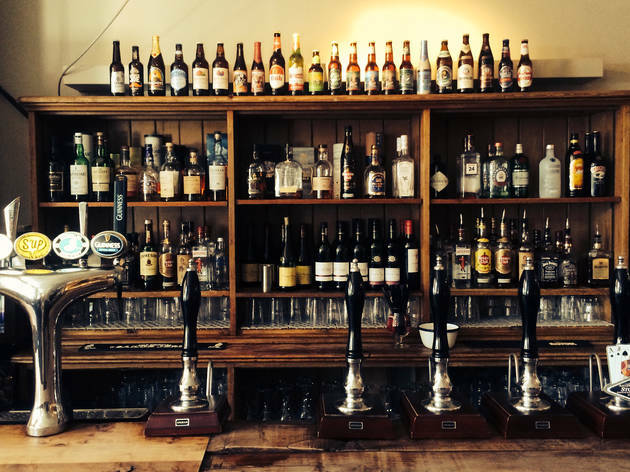 There’s a very consistent selection of ales and wines available, friendly staff, free wi-fi and by evening, usually a deep-digging DJ playing vinyl. 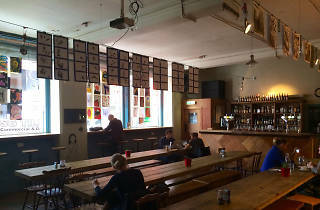 The bar has a neat and casual ‘canteen’ feel with long wooden tables and benches, with crafts and sculpture hanging from the ceiling. Downstairs plays host to some of the finest underground dance music in Manchester, and the venue’s reputation is out amongst some of the best in the business: Resident Advisor’s number one DJ of 2013, Dixon, played the 200-capacity venue shortly after his crowning. Admission rarely tops a tenner, and the licence occasionally runs as late as 6am.